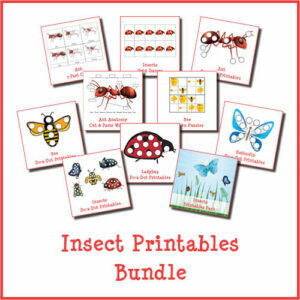 Why do insects delight some kids while frightening other kids? 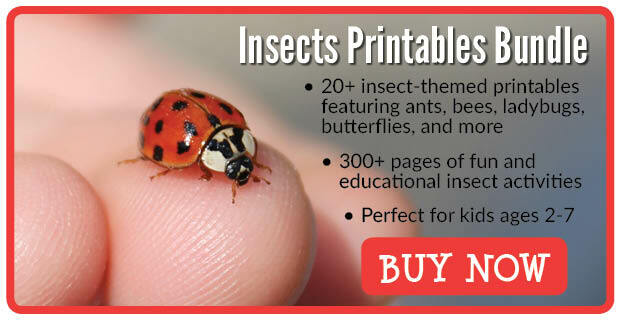 And why is it that insects such as the ladybug appear friendly and approachable while insects such as the cockroach cause people to run away? 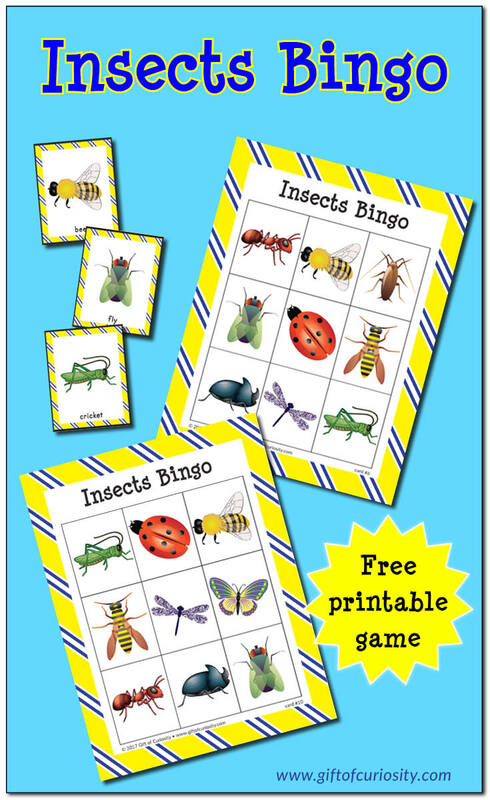 Whatever the answer, my free printable Insects Bingo game will help your children learn to identify and name ten different insects all while having fun at the same time. 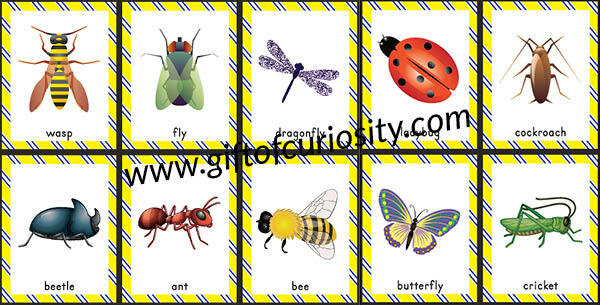 Changing up the rules each time you play Insects Bingo is a great way to give kids’ executive functioning skills a workout. For example, the first time kids need to get a straight line to win. The next time kids need to get the four corners to win. The next time kids need to fill in all squares to win. Mixing it up like this will help kids develop flexibility in their thinking. You can play blackout Bingo, four corners Bingo, or line Bingo with these cards. 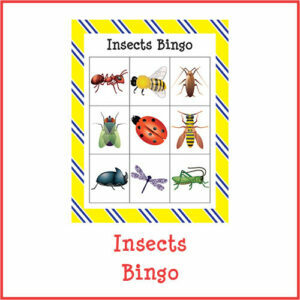 No matter how you play, my Insects Bingo game provides a great opportunity to learn about insects while having fun at the same time. 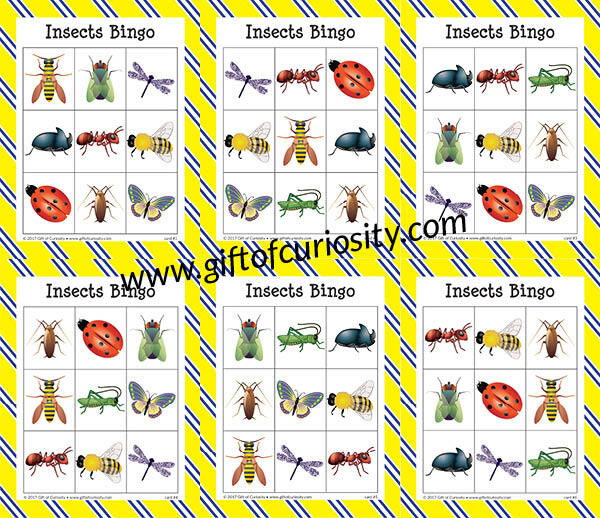 Want a copy of my Insects Bingo? I work with special needs students and am always looking for interesting items/games that I can use with them as they learn science. Thank you for offering free items on your site. I’ve used your site before and I have shared it with my fellow educators.